Hot Stamped Designs - "Hot stamped" party products are magnificent in real life and a feature taking over a lot of party designs this year. Hot Stamping or Foil stamping is a non-polluting printing method in which pre-dried ink or foils are transferred to a surface at high temperatures to create a hard shiny paint like effect. Party designs offering 'hot stamped' products include Unicorn Sparkle theme, You Had Me At Aloha theme, Gold Pineapple theme and Halloween Witch Please theme along with plain Gold, Silver and Rose Gold 'Chevron' design products.. You had me at Aloha - Transform your party room into a Flamingo's paradise with this You Had Me At Aloha theme. Grab your leis and tropical drink and get ready to hula. Give your buffet table a warm floral look. Featuring colourful pineapples and hibiscus flowers and 'hot stamped' gold, your Hawaiian BBQ dishes will stand out and make a splash at your luau. Spell It Out - Whatever occasion you are celebrating, spell it out with Balloons. Use balloon letters, balloon numbers and round balloons of different sizes to create whatever message you want to highlight. Whether it is someones birthday, wedding, anniversary or even a promotion at work.. You are only limited by your imagination. Glitz And Glam - Whether you're hosting a 1920's Gatsby theme party, gathering with a small group of friends to view a favourite movie, or hosting an Old Hollywood style party to celebrate the Academy Awards, this Glitz and Glam theme is the perfect choice this year. Llama Fun - Llama parties are overtaking the Unicorn and Mermaid popularity with Llamas popping up everywhere. Llamas suit a wide variety of party occasions including Baby Shower, Hens Night, Mexican Fiesta and many more occasions. Boho Girl Birthday - We offer a Boho Wild Child Birthday range for the child with an adventurous spirit. Designed around a bohemian theme featuring hot stamped metallic gold and natural tones of rose gold, teal and pale pink floral border. Boho Wedding - Whether you are having an Engagement Party, a Hens Party or a Bridal Shower this Mint To Be Floral Boho Wedding theme bohemian range is the perfect choice. This boho range includes plates, cups, napkins, tableware, flag banners, decorations and balloons in a mint green, pink, hot stamped metallic gold and floral colour tones. Arabian Nights - Looking for a theme full of opulance, glamour but still full of colour to wow your guests then an Arabian Nights theme party will certainly tick all your boxes. Start thinking Moroccan décor, rich textures, sumptuous food and lots of colour. The big impact will start with a tent, the size being determined by the size of your event of course. For decor think a colourful and relaxed chill-out lounge with lots of lanterns, palms, floor cushions, rugs and even some shisha pipes. Coloured lightbulbs will also bring mistique to the ambiance. Bring it all together with an Arabian music party playlist and even belly dancers and snake charmers. Balloon Garlands - Balloon garlands will make a huge impact for your guests as soon as they arrive at the party entrance, highlight a food table or dress up a feature wall for photo time with guests. A popular trend is to mix in other design elements such as palm leaves, flowers or even soft toys for an event such as Baby Shower, 1st Birthday or Jungle Safari..
A selfie station is the perfect way to keep your guests entertained during any type of event. Also a great way for guests to get to know each other, whether it be a birthday party, wedding or even a corporate event. Set up a funky backdrop , then add an old suitcase or trunk full of assorted costume accessory props such as wigs , hats, themed photo prop sticks (some examples below), fake moustaches, etc. For a twist on the selfie option you could provide disposable cameras for guests to use so you get to keep the photos at the end of the party, or hire a photo booth. Our Parties In Packages party tips have been provided to help you “create an atmosphere” at your celebration, no matter what the occasion. As the party host, it will be your job to co-ordinate the events leading up to the big day and to also make sure things run smoothly on the day. Your objective or mission is to throw a fun and exciting party that holds special memories for all that attend. There are a few important decisions to be made before you send out your invitations. Party Date - It’s a good idea to check the proposed date and time with “key” friends before committing. Party Time - It is important to state a starting time on the invitations. You may also wish to state a finishing time, especially if the event is held at a hired venue. For children generally 2 to 3 hours is ample and you will generally find many younger children tend to get tired in the afternoon/evening so a morning party may be good for the little ones. Lastly, leave plenty of time to send out the invitation. Party Location - You have the basic choices of home or hired venue or outdoor park, with the most popular being “home” where you’ll have plenty of time to set-up and have all your supplies close at hand. The obvious disadvantage is, cleaning the house before and after the party, possible damage and space limitations. Remember to include on the invitation anything you may wish the guest to provide such as alcohol or a themed costume. If you plan on providing alcohol, make sure to add a footnote that guests should arrange alternative transport home, rather than driving. Depending on the size of your party you may also wish to register with your local police station and hire security. You have to enjoy the party! The golden rule for the party host is, don’t try and do everything on your own. Arrange for friends to help with the food and serving at the event. Alternatively you may choose to hire wait staff or have the whole event catered, allowing you to enjoy the celebration as much as everyone else. The Checklist Tick each of these items off to make sure your party will be a blast! 1. Pick party date & time 2. Choose a theme 3. Purchase invitations & decorations 4. Send out invitations 5 Plan a menu & order a cake if necessary 6. Decide on the entertainment 7. Arrange for help on the party day 8. Write out final schedule 9. Finalise an exact guest count 10. Go shopping for party food 11. Charge the camera, get ice & other incidentals 12. Pick up the cake, if necessary Lastly remember that mishaps may occur so keep your sense of humour, even if not every aspect of the party goes off as planned. The most important part is to relax, take a breath, and try to enjoy the party as much as your guests. Thank you for including Parties In Packages in your celebration and we wish you the best of luck with your party. Are you looking for more than just Hawaiian Shirts and hula skirts? 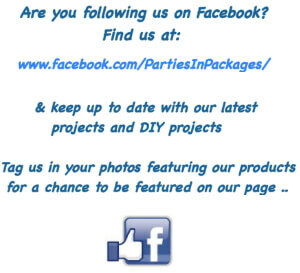 Our Parties In Packages party guide is provided to help you "create an atmosphere". As the party host, it will be your job to co-ordinate the events leading up to the big day and to also make sure things run smoothly on the day. Your objective or mission is to throw a fun and exciting party that holds special memories for all that attend. Are you ready to start preparing for your party? The Invites There are a few important decisions to be made before you send out your invitations... 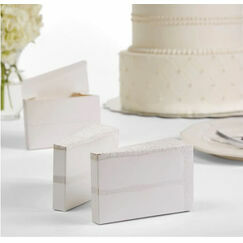 Invitation Theming - sprinkle some silk flower petails or hibiscus scatter into the envelope for a bit of fun. You could also add a lei and ask guests to ewear it along with their best Hawaiian outfit to start the party off with lots of colour and fun. You can even create a more personalised invitation by taking your photo in the Hula Girl or Surfer Dude Photo Op Prop and use that as one side of your invitation. Date - It's a good idea to check the proposed date and time with 'key' friends before committin. Time - It is important to stte a starting time on the invitations. You may also wish to state a finishing time, especially if the event is held at a hired venue. Also leave plenty of time to send out the invitations. Location - You have a couple of basic choices with the most popular being 'home' where you'll have plenty of time to set up and have all your supplies close at hand. The obvious disadvantage is, cleaning the house before and after the party, possible damage and space limitations. Remember to include on the invitation anything you may wish the guests to provide such as alcohol. I fyou plan on providing alcohol, make sure to add a footnote that guests should arrange alternative transport home, rather than drive. You have to enjoy the party too! The golden rule for the party host is, don't try and do everything on your own. Arrange for friends to help with the food and serving at the event. Alternatively you may choose to hire wait staff or have the whole event catered, allowing you to enjoy the celebration as much as everyone else. The Ambience Choosing an outdoor location with a lot of greenery and sand is preferable for a Luau. If your outdoor area is lacking in these areas you could hire palm trees and have sand delivered to the location for a great effect. The cheapest and most effective way to decorate the party area is by using beach towels as table covers, umbrellas, old fishing nets, hammocks. You could use leaves from banana palms to decorate the food tables and place pineapples, coconuts, watermelons and other fruits around the table to create a tropical theme. Then hang hula skirts around the edges of the tables. If your budget doesn't allow for hula skirts, silk flower leis and headdress for each guest, make sure it does cover the wait staff. Advise partygoers to attend in traditional attire such as Hawaiian shirts and shorts, sarongs & bikini tops and flip flops. As each guest arrives have the costumed staff at the front door with a lei and a welcome cocktail for each guest. The Entertainment What's a Luau without a Hawaiian band complete with hula dancers. By hiring a themed band, not only will you be supplied with great songs all night but you can also learn how to hula from the experts. To bring out the adventurous side in your guests you could hire a Mechanical Surf Rider, which is a fantastic simulation of real surfing. 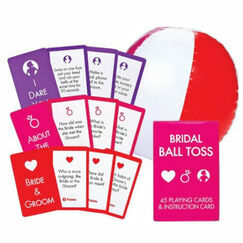 Party games are a great way for guests to get to know each other better and get everyone into the party spirit. Everyone should remember the Limbo and this game will provide loads of laughs for all. Hula Hoops are also entertaining and you could have group competitions to see who can swivel their hoop for the longest. Food & Drinks What better way to celebrate a Luau than with a spit roast or Hungi. Look in your local Yellow Pages or Google for companies that provide spit roasts or you could make your own Hungi at home. Dessert can be made easy with platters of fruit. The most appropriate way to serve beverages is in cut-out pineapples, coconuts, watermelons and decorating with straws, drink umbrellas and cocktail animals plus lots of fruit. Or you can substitute with plastic coconut cups. The Check-list * Pick party date and time * Purchase your invitations and decorations * Decide on the entertainment * Plan a menu and go shopping * Arrange for help on the party day * Write out final schedule * Get an exact guest count * Purchase final party supplies if necessary, party food, ice and other incidentals * Charge the camera or phone Lastly, remember that mishaps may occur so keep your sense of humour, even if not every aspect of the party goes off as planned. The most important part is to relax, take a breath and try to enjoy the party as much as your guests. Your objective is to throw a fun and exciting party that holds special memories for all that attend. Are you ready to start preparing for your party? Okay, let’s get started with some suggestions to help relieve the stress. Our parties in packages party guide has been provided to help you “create an atmosphere”. As the party host, it will be your job to the invites There are a few important decisions to be made before you send out your invitations. Date - It’s a good idea to check the proposed date and time with “key” friends before committing. Time - It is important to state a starting time on the invitations. You may also wish to state a finishing time, especially if the event is held at a hired venue. Location - You have a couple of basic choices with the most popular being “home” where you’ll have plenty of time to set-up and have all your supplies close at hand. The obvious disadvantage is, cleaning the house before and after the party, possible damage and space limitations. Invitation Details - Remember to include on the invitation anything you may wish the guest to provide such as alcohol or a themed costume. If you plan on providing alcohol, make sure to add a footnote that guests should arrange alternative transport home, rather than driving. When sending out invitations, allow plenty of time. The golden rule for the party host is, don’t try and do everything on your own. Arrange for friends to help with the food and serving at the event. Alternatively you may choose to hire wait staff or have the whole event catered, allowing you to enjoy the celebration as much as everyone else. the ambience Choosing a location where load music can be played is a necessity. Outdoors is best suited so that you can string up lots of colourful lighting and lanterns in traditional style. The cheapest and most effective way to decorate the party area is by hanging up strips of brightly coloured material or old sheets. Also striped beach towels can make great table covers. Decorate the food tables with potted cactus and fresh chilli’s, bags of corn chips and lots of salsa. Another idea is old bottles of Tequila and Tabasco sauce. Then dig through your junk cupboard for old sombreros to hang from the ceiling. If your budget doesn’t allow for poncho’s and hats for each guest, make sure it does cover your wait staff, then ask partygoers to attend in traditional attire. As each guest arrives have the costumed wait staff at the front door offering each guest a welcome cocktail. Idea’s for the Senorita’s include free-flowing skirts with scarves and flowers for hair. And for Senior’s pinstriped suits with Panama hats or bright shirts with white or black suit pants. Top it off with a pair of two-tone winklepickers. the entertainment What’s a Latin Fiesta without loud music and lot’s of colour. You could hire a couple of Latin dancers from your local dance school to provide a demonstration and then even have the guests join in to learn how to tango from the experts. Another option is to hire a Latin band offering great music as well as lively entertainment. it’s party time Party games are a great way for guests to get to know each other better and get everyone into the party spirit. No Latin Fiesta party would be complete without a piñata. In Latin America, piñatas were traditionally used to entertain children at most festive occasions. In Mexico, the word “piñata” actually means party. Piñatas have become a vibrant part of American culture, used as festive decorations or in the traditional party game sense for all ages and add zest to any celebration. To bring out the adventurous side in your guests you could hire a Mechanical Bucking Bull, which is a fantastic simulation of real bull riding. Most companies provide padding and require and area of approx. 5m x 5m x 3.5m high. the eats In Latin America everything is hot & spicy and tapas is the most popular form of serving food. A great alternative to making your cocktails is to hire a Daiquiri machine. Check your Yellow Pages for details of your nearest operator. PICADILLO - (4 servings) 1 medium onion chopped, 1 clove garlic minced, 1 pound ground extra lean beef, 1⁄4 cup sherry (optional), 1⁄2 teaspoon cumin, 1⁄2 teaspoon oregano, 1/8 teaspoon salt, pinch ground red pepper, 1⁄4 cup raisins, 1 cup diced fresh or canned pineapple, 1 medium green bell pepper chopped and 1⁄4 cup chopped red bell pepper. In a large skillet over medium-high heat, brown the ground beef, onion, garlic until the onion is tender and the meat is no longer pink and the juices run clear. Drain off all fat. Add all remaining ingredients except the green and red bell peppers. Bring to a simmer and cook 5 minutes. Add green and red bell peppers and heat through. Serve with rice and bread. TEQUILA SUNSET PUNCH - 1 Qt. Tequila, 2 Qt. Orange Juice, 2 litre lemon-lime soda, 1 Pint Orange Sherbert Sherbert, 1/4 Cup Grenadine. Mix all tequila, orange juice and lemon-lime soda together. Chill. Add Sherbert just before serving and drizzle grenadine over the top. MARGARITA - 11⁄2 oz. Tequila, 3⁄4 oz. Triple Sec (or Cointreau), splash of sour mix and dash of lime juice. Shake with ice, serve on the rocks or strain to serve up in a salt rimmed glass. Add more juice and blend with crushed ice for Frozen variation. Garnish with a lime wedge. The Checklist Tick each of these items off to make sure your party will be a blast! 1. Pick party date & time 2. Plan a menu & go shopping 3. Decide on the entertainment 4. Arrange for help on the party day 5. Write out finale schedule 6. Get an exact guest count 7. Buy remaining party food, charge the camera, get ice and other incidentals Lastly remember that mishaps may occur so keep your sense of humour, even if not every aspect of the party goes off as planned. The most important part is to relax, take a breath, and try to enjoy the party as much as your guests. Thank you for including parties in packages in your celebration and we wish you the best of luck with your themed party. Throwing a party is all about having fun and Parties in Packages is here to help you celebrate in style. Our goal is to meet the themes and budget of each and every customer so that impressing your guests doesn’t cost a fortune. From invitations, wall decorations and props to plates, place cards and balloons, we stock all the themed kids party supplies as well as decorations for any occasion. Everything you need to make the event one to remember! Invitations, plates, cups & napkins, tablecloths, centrepieces, costume accessories, pinatas & other games, wall decorations, balloons, lootbags and much more.. This is just a snippet of the thousands of decorations we have available, so have a browse through our online store and see how you can ensure your next event is a success. Our huge variety of themes includes Mexican fiesta, baby shower, Minions, Hollywood, beach bash, jungle safari, Hawaiian luau, time period, Disney, countries and so much more! We also have a broad selection of plain party supplies with a variety of colours to choose from so you can mix and match colours with ease. 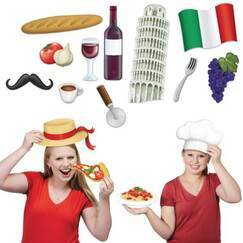 Why choose us for calendar events, milestones or party themes and kids party supplies? Parties in Packages was founded by Sara Frost and is a fully Australian owned and operated company with customers locally and in New Zealand. Since 2001 we have become one of the first choices for party themes in Australia and NZ with an emphasis on a wide range of stock at affordable prices. Need help? We endeavour to make your online shopping experience as smooth as possible and are always happy to answer any enquiries. Fill out our contact form to receive a prompt response and view our shipping guidelines for information on how you will receive your order.